This is how the outside of our home will look like. 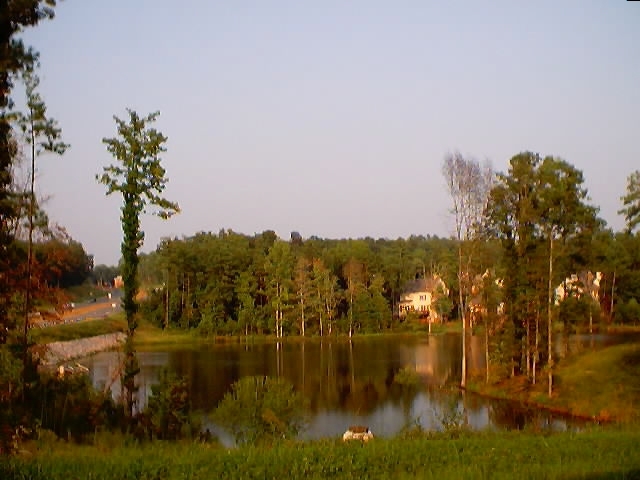 These pictures are our from our neighborhood. 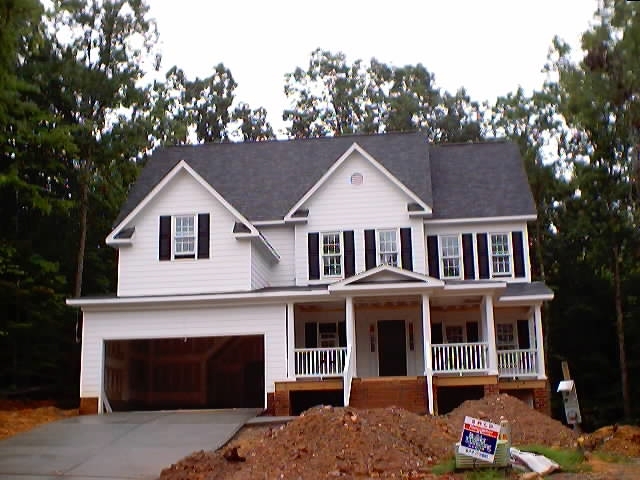 This is another home with the same style as ours - The Parkwood. We like the look, especially the side-entrance garange - but ours is going to be a front entry. 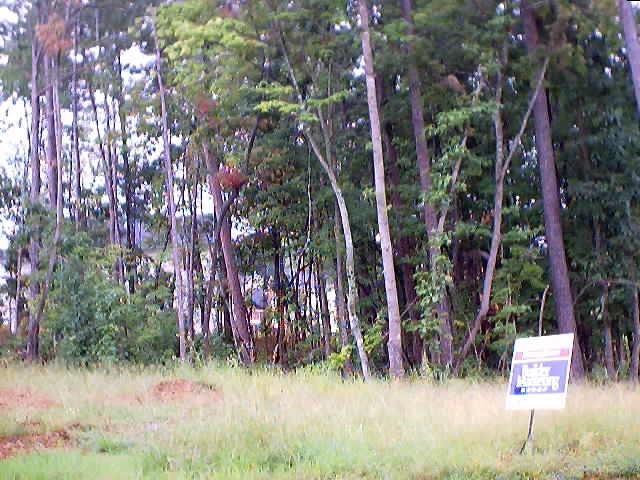 The pictures below and to the right are the views from the plot. 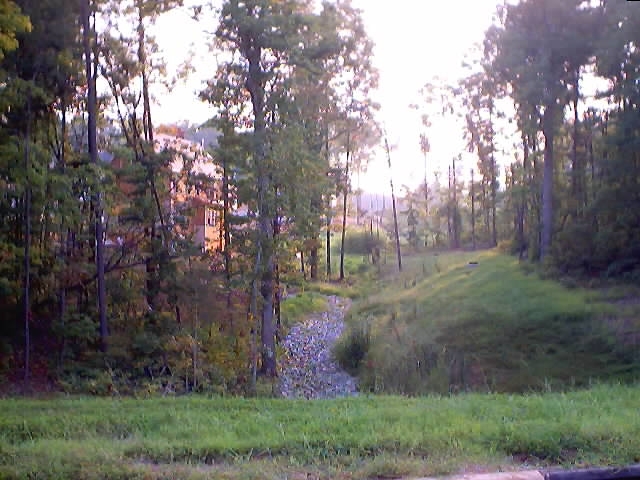 We have the lake accross from us, and a small creek on our side. Very picturesque! Our home is going to look very similar to this one. The elevation is going to be the same, the colors might differ. 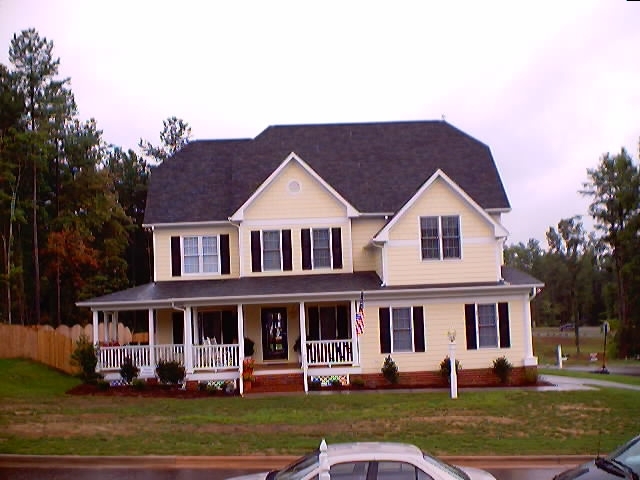 The outside of the Model Home at SilverLake. Love the landscape!